Work for Uber for Business? Learning about Uber for Business? "Reliable and convenient app, the service is excellent"
I like that Uber offers safe, convenient and affordable rides. Their rates is lower than the standard rates by other service providers. The app is stable and easy to use. The drivers are disciplined on the road and they exhibit a high level of professionalism during your interactions. I feel safe when using their service. The billing is fast and transparent. The app relies on internet connection and poor connections might lead to inconveniences. With the app I tend to take rides even where I could use public means. Uber for Business is safe and convenient. It will certainly solve your transport problems. Uber for business solves all our transport problems. It is convenient and helps lower transport cost. The employees enjoy safe rides for business while the company keeps track of movements and the associated costs. "Great App and Service Idea, Drivers Can Be Iffy"
In theory, like any ride sharing app, the concept is appealing and easy. It's significantly easier to use Uber on your phone than calling for a taxi, as it takes far less time. Also makes expensing far easier. It's a shot in the dark regarding the driver you get. Could be someone good, or in many cases, someone who shouldn't have a license. It's also a problem when the driver can't find you, and you still get charged. It's an amazing app in theory and will help with expense reports, however beware you may need to be ready to contact customer service as you will often get charged incorrectly. Solving the issue of transport for my team at events in cities where we don't have access to our car fleet. "Uber offers me great incentive to stick with it." I like the provision Uber makes available for me to rate my driver after every ride,making the Uber ecosystem self rewarding for drivers who perform their duty well ;while making it possible to punish drivers whose service quality falls below a certain threshold. Uber regularly offers me beautiful discounts and this has enabled me save on my commuting expenses.I am able to refer my friends to use Uber for the first time and earn free Uber credit, a friend I refer uses Uber for the first time. Uber is my primary means of getting around the city from my home to my workplace and to most destinations on a daily basis.It saves me the stress of driving myself around,allowing me sit in comfort throughout a ride or even get productive by getting some office tasks done while commuting. My favorite part of Uber is how competitive the rates are ,in comparism to what is obtainable with local yellow cabs.In my city ,it turns out that a ride on Uber is usually like 50% cheaper than its yellow cab equivalent. As an Uber rider,I feel secured using Uber because all drivers on the platform undergo a background check before being allowed on the platform. Thus,I have confidently taken naps while commuting in an Uber ride,without the fear of being harmed or facing any risk at all. In my city,Uber only verifies a drivers vehicle once after which the company doesn’t bother to reverify the ride months later ,to ensure it is still in a good state,Therefore I have been matched with Uber rides which weren’t in too good a shape. This is an aspect I will like the Uber team to address. Uber is my backup means to get home from work,whenever I am working late and therefore unable to go home with the official staff bus. "Uber is safe but needs to improve the state of its Cars in my city." Uber is easy to use.I like how fair Uber trip fares are, especially when compared with the fare rate of local taxi competition.I also find Uber to be safe and thus I have found myself sleeping freely at times,while commuting in an Uber ride.I must also commend the professionalism of most Uber drivers I encounter and bearing in mind that Uber drivers are trained,I am not surprised that they behave themselves and are most times very polite. I will like Uber to verify cars put on the roads more often.Currently it appears that Uber only verifies Cars before they are registered on the Uber platform,after which they are never verified again,to check the current physical state of the vehicle.Therefore, these days I encounter a lot of Cars on Uber,which aren’t in a good state. I use Uber to commute from my home to my workplace,everyday of the week. "Great app to get a cab fast, the serve is excellent"
I like that the app is easy to use and tracks movement and billing info. It makes is easy to get a cab for business trips that my employer pays for. I feel safe when riding in their cars. I have never had a bad experience with this app or the entire service. The rates are low too. I realized that the rates tend to increase when there is more traffic on the roads. It may not be convenient in places with poor internet connections. Uber for business is convenient, affordable and is likely to solve your travel needs. I am able to get a cab easily and conveniently at any time of the day. The transport cost is relatively low and the service is reliable. The app has an intuitive user interface. "Works Well for Integrating Business Rides"
Simple to use and is like normal Uber, yet it links directly to a business e-mail/account and can send receipts there. It integrates with your other Uber accounts which is great and makes it simple to use. It can be tricky to remember to switch back and forth between personal profiles and business profiles. I often do this backwards and have to switch how I did it. I also tend to forget to update this back to personal and have had to do personal expenses before from my account. "Uber for business lets you easily manage expenses and its safe"
You can add employees or customers to your profile and set rules such as what type of vehicle (Black, Lux, etc) and a spend allowance. This helps to keep spending under control and limit unauthorized rides. Additionally a customer can take a ride on behalf of our account and we can keep track of this expense. "Clear Separation of Business and Personal Rides"
It’s easy to indicate if the ride is for business or personal use before you call the Uber so that you’re not scratching your head later trying to remember which rides were personal..
Uber for business is an easy way to manage costs because the fares are predictable. It’s also useful to keep business rides separate from personal. This app is amazing! Use for our employees to aid with workplace transportation and transportation on business trips, it has aided our company so much and I highly recommend it! Dislike inability to split payment, profile features, other than that, no major complaints. App is great! Solving problems of employee transportation - app has helped to solve these issues tremendously. "Uber is a part of me." All Uber drivers are verified and trained to act professionally. I think this is what sets Uber apart from traditional city taxis ,where the chance of meeting a professional driver is a matter of luck. I dislike Uber’s surge pricing model.I feel the pricing rate should be fixed. Uber has made it a smooth experience for me getting around both for work based task and non-official duties. "Safest way to get a Cab." I like how Uber eases the commuting experience from my house to my place of work daily. Very importantly too,I like that Uber now accepts local payment cards in my country. I dislike how the fares increase whenever there is traffic. 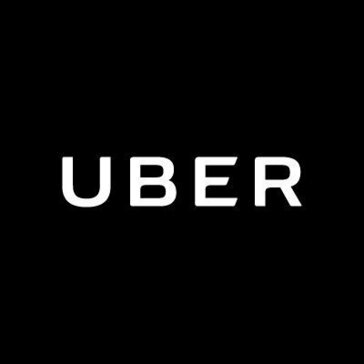 Uber makes it a convenient experience commuting from one point to another for official assignments. "I use uber for business at Tinder. We uber alot on business trips and have a buisness account. " It is very convenient and easy to use. I don't need to expense anything. It was pretty hard to setup, hard activating the buisness account. Allowing employees to use it to travel to and from the offices and events. I like that I can have a personal and business account so I can easily keep my business rides separate from my personal rides. Nothing. It has everything I could need and everything I expect of it. * We monitor all Uber for Business reviews to prevent fraudulent reviews and keep review quality high. We do not post reviews by company employees or direct competitors. Validated reviews require the user to submit a screenshot of the product containing their user ID, in order to verify a user is an actual user of the product. Hi there! Are you looking to implement a solution like Uber for Business?